Or maybe I’m just going a little crazy. Anyhow, here’s the recipe to this fabulous dish! Cook and drain the black beans, make sure they’re in a large enough bowl (I just kept mine in the pot I cooked them in). Add all other ingredients to the black beans and stir. Put the seasoned black bean mixture into a food processor or blender (I used my Vitamix). Blend until you reach a creamy consistency. Voila! 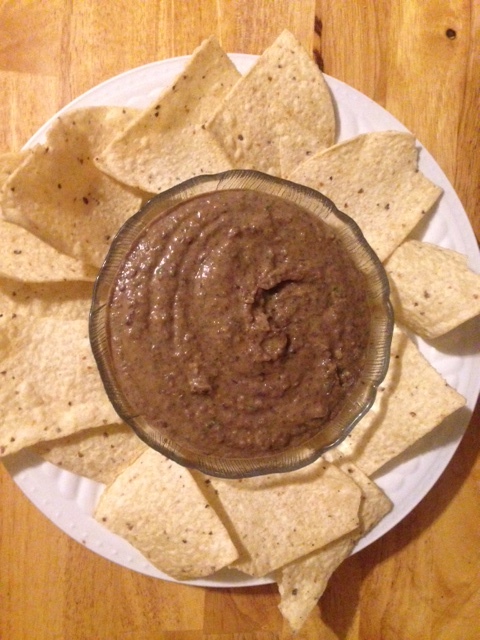 Serve this dish with tortilla chips or your favorite cracker. I also think it would make a wonderful spread on sandwiches and wraps.